Al-Qassim Region (Arabic: منطقة القصيم‎‎ Minṭaqat al-Qaṣīm [ælqɑˈsˤiːm], [ælgəˈsˤiːm] ), also spelled Qassim, Al-Qaseem, Al-Qasim, or Gassim internationally, is one of the thirteen administrative regions of Saudi Arabia. Located at the heart of the country, and almost in the center of the Arabian Peninsula, it has a population of 1,370,727 and an area of 58,046 km². It is known to be the "alimental basket" of the country, for its agricultural assets. Al-Qassim is the richest region per capita in Saudi Arabia. It is the seventh most populated region in the country after Jizan and the fifth most densely populated. It has more than 400 cities, towns, villages, and Bedouin settlements, ten of which are recognized as governorates. Its capital city is Buraydah, which is inhabited by approximately 49% of the region's total population. The governor of the province from 1992 to 29 January 2015 was Prince Faisal bin Bandar, succeeded by Prince Faisal bin Mishaal. Al Qassim is derived from the word "Qassimah" (Arabic: قصيمة‎‎), a reference to قصائم الغضا, meaning the region's sand dunes from which the white saxaul trees grow. The region is known to contain a large group of Calligonum plants such as comosum (locally known as arta). The province is located in the center of Saudi Arabia approximately 400 km northwest of Riyadh, the capital. It is bordered by Riyadh Region to the south and east, by Ha'il Region to the north, and by Al Madinah Region to the west. The region is connected to almost every part of Saudi Arabia by a very complicated network of highways. The regional airport, Prince Nayef bin Abdulaziz Regional Airport, connects Al Qassim (Gassim) to the other provinces of the country. There is not much information known about Al Qassim the province in the times of Pre-Islamic Arabia. Unaizah was repeatedly mentioned as a desert watering hole in the poems of Imru Al Qais (the famous Arabian poet). Moreover, AlJiwa, which is about 60 km north of Unzaizah, was mentioned by the heroic Absi poet Antarah bin Shaddad. Al Qassim Province had some important foyers on the road of pilgrims and traders coming from the east (mainly Persia and Iraq) in the era of the Abbasid Empire. The Zubeida road was a long pilgrims road that started from the city of Kufa in Iraq and ran to Mecca in Arabia. The road was constructed in the reign of Harun Al Rashid and was named after his wife Zubeida. It had pilgrims foyers in many of the region's cities including Unaizah. The Al Abu Olayan - dynasty from the Banu Tamim tribe established the emirate of Buraydah in the late 16th century by its leader, Rashid Al Duraiby. He built Buraydah and made it the province's capital. However, Unaizah was ruled by Al Sulaim dynasty. The emirate was later captured by Muhanna Salih Abalkhail, the leader of the Abalkhail dynasty. In 1890, the Rashidi dynasty based in Ha'il annexed the province. In 1904, the Abalkhail recaptured the province. In 1907, the province was integrated under the Kingdom of Saudi Arabia. The province is Saudi Arabia's most conservative region. It is the heart of the Najd region and the centre of the Salafi movement. The province is regarded as one of the key support bases of the Al Saud family, along with Al Riyadh Province, Ha'il province and Al Jawf province. This province has also contributed many notable Salafi ulema and sheikhs. Also, the accent used by those native to Alqassim are known to have a distinctive accent like all other provinces in Saudi Arabia, and it is called the qassimi accent or "Qusmanji". 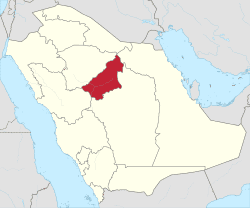 Al Qassim province is divided by the Wadi Al-Rummah (Rummah Valley). The valley crosses the entire region from the west to the northeast. It is the longest valley in the whole Arabian peninsula, it stretches for about 600 km (370 mi) from near Medina, to the Thuayrat Dunes in the east, and northeast of the region. The land's height in Qassim is about 600–750 meters above sea level, and it glides from west to east in general. Al Qassim region has a typical desert climate, known for its cool, rainy winters and for its warm less humid summers. Al-Qassim region hosts more than Eight million Palm Trees, making it one of the Middle East largest producers of dates, producing an annual amount of 205 thousand tons of various types of luxury dates, which gives the region a high economic value by exporting large amounts of dates nationally and internationally, especially in the GCC region. Multi cities in the region market their dates production with dates festivals that mostly start in September, Although Buraydah (the capital of the province) hosts one of the largest festivals in the region, at which a lot of people come from all over the GCC countries to buy their yearly requirement of dates. Along with tourism, agriculture is still the cornerstone of the region's economy. Although the region has been famous for its agricultural assets for a long time, it wasn't until recently that wheat production has been introduced to the local agricultural industry, making Saudi Arabia a net exporter of cereal. The region also produces dates, grapes, lemons, grapefruits, mandarin oranges, oranges, pomegranates, and a large group of vegetables. The region also hosts one of the biggest camel market in the world, due to its central location, surrounded by Aldahna and alnfound deserts. Agriculture in general is considered to be a very important part of the region's natives culture, with special vegetables being linked to every city, for example eating leeks (kurrat) is associated with the people of Unaizah, while adding chili peppers to meals is associated with the people of the city of Rass. Prince Nayef bin Abdulaziz Regional Airport (IATA: ELQ, ICAO: OEGS), The airport is an International airport, serving destinations to GCC, Eygpt and Turkey. Formerly Qassim Regional Airport and widely known in the air-travel industry as "Gassim" (from Al-Qassim Province). The airport was established in 1964 and It is owned and operated by the General Authority of Civil Aviation (GACA). The airport is in the city of Al-Mulieda, which is 30 km West of Buraidah and 40 km North West of Unayzah. According to (GACA), the number of travelers has increased from 595,170 travelers in 2011 to 1,150,000 travelers in 2014. The North South Railway Line is a 2,750 kilometres (1,709 mi) railway line , built by Saudi Railway Company (SAR) in Saudi Arabia. Operation on 1,392 kilometres (865 mi) long Connecting Al Jawf Region, Northern Borders Region, Ha'il Region, Al-Qassim Region, Riyadh Region . Al Qassim Railway Station located at East Buraydah 10 km at King Fahad Road. Station facilities : ATM, Business Lounge, Baggage trolleys, Cafes, Customer Service, Lost property, Mosque, Prayer room, Restaurants, Seated area, Shops, Car parking, Baby change, Toilets and Wi-Fi. Riyadh to Qassim (Sun, Mon, Tue, Wed, Fri) from 10:00 To 12:26 passing Majmaah Station . Riyadh to Qassim (Thu, Sat) from 17:30 To 20:00 passing Majmaah Station . Qassim to Riyadh (Sun, Mon, Tue, Wed, Fri) from 17:45 To 20:16 passing Majmaah Station . Qassim to Riyadh (Thu, Sat) from 21:00 To 23:26 passing Majmaah Station . Highway 65 (Saudi Arabia) (South) connects to Riyadh, Eastern Province and GCC Countries. Highway 65 (Saudi Arabia) (North) connects to Ha'il, Al Jouf, Qurayyat and Jordan Borders. Highway 60 (Saudi Arabia) (West) connects to Medina, Yanbu, Rabigh en route to Jeddah and Makkah. Highway 60 (Saudi Arabia) (East) connects to Al Zulfi. The region is served by schools in every city and town for all three educational levels (primary, intermediate, and secondary), and includes various types of school (public, private, Koranic, international), with international and private schools. The region has 263,379 Female and Male Students, 33,061 Female & Male Teachers and 2,533 Schools. Qassim University, which is located in Almulida area, West of Buraidah, North West of Unayzah and Almuthnab, North East of Ar Rass, Al Badayea, Al Bukayriyah, Al Khabra and Riyadh Al Khabra. Qassim University (QU) appeared in the QS World University Rankings for the first time in 2011. According to the QS report, it has shown excellent potential for strengthening its position by harnessing its core strengths in teaching and Research. QU has published Research papers with institutions ranked in top 100 of the 2011 rankings. QU has also shown initiative in arranging International Seminars in order to develop relations with global academic peers. Qassim Universities has very competitive colleges that are spread at the main campus (Almulida) and campuses at Al-Qassim's main cities. In November 2015, AACSB has announced that Qassim University has earned accreditation for its College of Business and Economics (CBE), which is according to the new standards of AACSB, Innovation, Engagement and Impact. AACSB stands for Association to Advance Collegiate Schools of Business. It was founded in 1916 and it is the longest serving global accrediting body for business schools that offer undergraduate, master's, and doctorate degrees in business and accounting. AACSB Accreditation is the hallmark of excellence in business education, and has been earned by less than five percent of the world's business programs. Also the College of Arts and Science is located in the following cities: Al Badayea, Al Bukayriyah, Al Muithnab, Al Asyah, Uyun Al Jiwa, Al Nabhaniyah, Uqlat Al Suqor and Daryah. In addition there is a College of Science in Al Zulfi and a College of Health Science in Al Bukayriyah. Al-Qassim Universities hosts many sport activities and sport teams that compete at the national level in Saudi Arabia and in the GCC region. The football team has won the national universities competition 2 years in a row, 2014 and 2015. The university sports teams includes volleyball, swimming, athletics and many more. As part of the new TVET paradigm for Technical & Vocational Education in the Kingdom of Saudi Arabia Qassim has a number of technical colleges which are operated by International Training Providers (ITP's) and these are located in Unaizah, Ar Rass and Buraydah. Hertfordshire London Colleges operate the male and female colleges in Unaizah and they provide a foundation year where students learn to communicate and understand English and IT being taught by Native English speakers from the United Kingdom. The second and third years enables students to specialize in a wide range of technical & vocational subjects which include Automotive, Electronics, Mechatronics, Manufacturing, Business, IT and Retail leading to a diploma qualification. Students will also be allowed to continue their studies to achieve a Degree qualification whilst they are working. The Technical and Vocational Training Corporation has colleges located in Buraidah, Onizah, Ar Rass and Al Badayea. Colleges prepare and train students to be skilled and ready for employment in different sectors (industrial, agricultural, commercial and public services), with a focus on fields of science and technology and offers different specialization's in computer science, electronics, welding, electricity, mechanics, refrigeration and air conditioning, motor vehicles, chemistry, technical and administrative, communications, space management, plumbing, carpentry, photography, marketing, architectural construction, printing, plumbing and paint. Colleges of Excellence, the international subsidiary of TVTC has opened a new government sponsored college in Buraydah. The College is a vocational college focusing in Business, Technology and Electronics as majors and career fields. Buraydah is the official capital of the region, with about 49% of the population residing in the city. The palace of the province' prince is located in the city, along with other governmental centers. It is the seventh largest city (by population) in the country with a total population of 609,000 (2010 census). Unaizah is the region's second largest city, total population of 163,000 (2010 census). The city is ruled by Al Sulaim dynasty, in accordance to a written treaty between them and the Saudi royal family, the city is known to be center of religion and culture, thus making Al Qassim Province as a whole to be known as a center of religion and culture. The city is famous for its tourist attractions and festivals. There are also other nearby rural towns including Almethnab, Al-Bukairiyah, Badaya'a, Riyadh Al-Khabra, Al-Khabra, and Nabhaniya. King Abdullah Sport City Stadium is the major stadium in Al-Qassim Region, located in the capital city of Buraidah. The stadium capacity is 25,000 and it hosts different sport and entertainment events, It is also the home ground for Al-Raed and Al-Taawon FC. Al-Raed is the first sport club established in Al-Qassim Region and the 12'th club in Saudi Arabia, established in 1954. Al-Raed is currently playing in the Saudi Professional League, which is the highest football competition in the country. Al-Taawon FC is the second sport club established in Al-Qassim Region and the 14th in Saudi Arabia, established in 1956. Al-Taawon FC is first team from AL-Qassim to play in the AFC champions league, which is the highest football competition in Asia, their first appearance is in the 2017 version. The are also currently playing in the Saudi Professional League, which is the highest football competition in the country. Many clubs from Al-Qassim have made good results in the first league, the clubs that have played in the Saudi Professional League or previously the (First League) are: Al-Raed, Al-Taoun, Al-Najmah, Al-Arabi and Al-Hazem. The following is a list of all clubs in Al-Qassim region. According to the Saudi Commission for Tourism and National Heritage (SCTA), Al-Qassim has been recognized as the number one province in the Kingdom in organizing festivals and events, with an annual number of 173 events in 2014. Al-Qassim Province is rich in heritage, nature, and traditional handicrafts, and its geographical location makes it the hub of diverse cultures and various festivals. Each season in Qassim has a certain festival and a specific occasion that highlights the prominent features of that season. During summer vacation, for nearly a month, various events and festivals are organized in Qassim and its governorates and are held in the markets, museums, public parks, and other locations as per the nature of the event. Such festivals are popular with the entire community, and are attended by women, men and children. 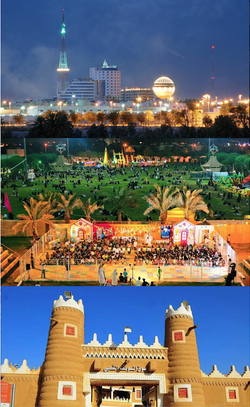 The most famous events hosted in Qassim are the Buraidah Recreational Festival, Unaizah Tourism Festival, and the Al-Mithnib Summer Festival. In addition, date festivals are held in Qassim to highlight that the Province is distinguished for its farms and dates. Shopping at the Qassim date market is a unique experience, especially during the harvest season during August and September. 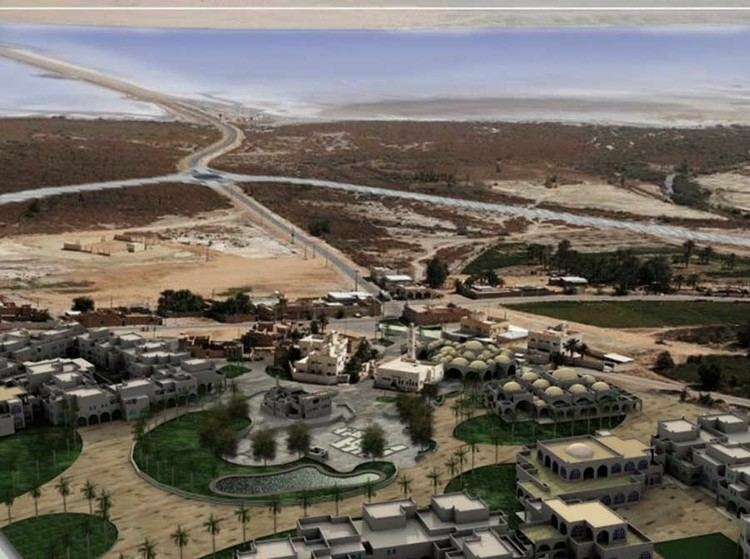 Al-Qassim’s desert parks become more favorable during the winter and spring seasons, attracting desert lovers as well as the locals and visitors who seek rejuvenation and enjoyment in the open spaces and natural environment. These parks host the spring festivals that are usually organized during the mid-year vacation periods. The festival feature multiple activities and events that highlight the festival’s nature and location. In Al-Qassim, a number of festivals are organized in various places during different periods to recognize the city’s heritage. The most prominent festivals include Al-Khelija and Traditional Products Festival in Buraidah, Entajee Festival in Unaizah, Al-Musawkaf Traditional Festival in Unaizah, Eid Al-Khabra Festival, Reef Al-Awshaziyah Festival, and Al-Russ Heritage Festival. Then, enjoy a relaxing getaway to Qassim’s beautiful orchards in the countryside where you can unwind and renew your energy. The region hosts many hotels, apartments and resorts for its year around visitors, such as the Mövenpick Hotel, Golden Tulip in Buraidah, Boudl Resort and Apartments in Unaizah, and the Ramada Hotel in Al-Bukairiyah. Although variety of resorts and chalets and farm are offered such as Al Malfa Resort in Unaizah.